It's that time of year again where all the Christmas Sales are starting to pop up. 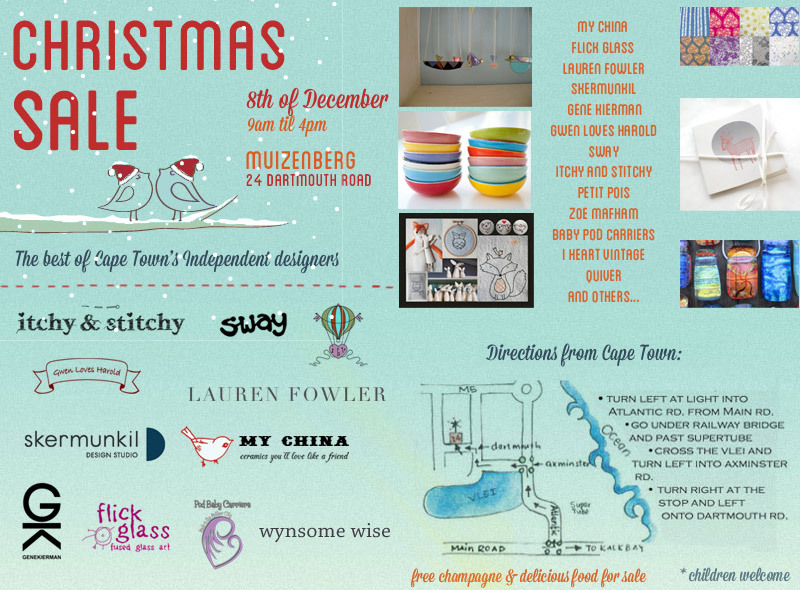 To start off the season, I'm taking part in the House Sale in Muizenberg. Jewellery, ceramics, clothing, vintage delights, glass, accessories, gift cards, stuff for the kids, handmade items, art prints, innovative creations and gift ideas. Buying local and handmade has been a true trend over the last few years and continues to be a better choice than mass produced products from abroad. Support local, feel good and be merry. There will be delicious food on sale & free champagne. Come early for specials and bargains. I'll be taking part in another sale on the 17th of December, but more about that later!